One small valley in California has become the center of vegetable production in the United States, with some remarkable production statistics. 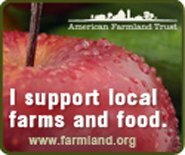 99% of artichokes, 92% of broccoli, 94% of processing tomatoes, 94% of celery, 86% of garlic, 83% of cauliflower, 76% of head lettuce, 67% of carrots, and 58% of asparagus are grown in the Salinas Valley and distributed throughout North America. These statistics are cited in Christopher Henke’s historical and sociological analysis of the Salinas Valley’s production of “niche market crops on an industrial level” in Cultivating Science, Harvesting Power – Science and Industrial Agriculture in California (The MIT Press, Cambridge, Massachusetts, 2008). California is the center for farm production in the United States, with farm production in 2005 valued at $31.7 billion, nearly double that of the runner-up Texas with farm production valued at $16.4 billion. Mr. Henke, an Assistant Professor of Sociology at Colgate University, focuses on the role of agricultural scientists, employed by Cooperative Extension of the University of California (UC), in assisting growers in the development of industrial scale agriculture in California’s Salinas Valley. Growers have invested a great deal of effort in “intervention” with Mother Nature in order to transform the valley into a “unique” place, and Mr. Henke provides a clear-eyed view of the role of agricultural scientists in this extraordinary transformation of an American landscape. Simply stated, industrial growers in the Salinas Valley harvested power and fortune by cultivating the assistance of Cooperative Extension agricultural scientists. In his detailed academic notes at the end of his “ethnographic” analysis, which carefully dissects the connections between place, practice and power in the Salinas Valley, Mr. Henke cites a 1787 letter from Thomas Jefferson to George Washington in which Jefferson idealizes small family farms: “The wealth acquired by speculation and plunder . . . fills society with the spirit of gambling. The moderate and sure income of husbandry begets permanent improvement, quiet life and orderly conduct, both public and private.” One wonders how Thomas Jefferson would respond to a Salinas Valley industrial grower’s defense of his use of pesticides by raising the specter of mass starvation with inefficient organic methods of production causing food shortages: “You sure as hell don’t feed 250 million people or a billion people by picking tomato horn worms off by hand.” Mr. Henke has closely studied how Cooperative Extension’s agricultural scientists have attempted to shape, mediate and stabilize relationships between “land, water, money and labor” upon which farming in Salinas Valley is built. The emphasis for the industrial growers of Salinas Valley is on “creating the conditions for a reliably maximal crop rather than just stable yields.” This drive for the most production makes it an almost impossible task for agricultural scientists to keep the ecology of agriculture in the Salinas Valley in a state of “repair,” defined in academic terms by Mr. Henke as “maintaining the system in the face of constant change.” When an acre of lettuce in the United States is worth $6,360, compared to $334 for an acre of corn, this urge to produce as much as possible in the Salinas Valley becomes nearly uncontrollable. It is tempting to throw up your hands and say the environmental degradation from industrial agriculture cannot be altered since even “maintaining the system” in a state of “repair” seems impossible, and the possibility of transformative repair of industrial agriculture into sustainable agriculture is not even on the table for discussion. Mr. Henke cites some sobering facts: one-half of the ground water in southern parts of the Salinas Valley is unsafe to drink due to nitrates from the overuse of chemical fertilizers, and seawater has intruded into ground water supplies along the Monterey Bay coast, with the increased pumping of ground water for crop irrigation. Still, it is an open question, not yet finally answered in the negative, whether agricultural scientists can play an effective role, for example, in persuading growers to use nitrogen fertilizers only when needed and not based on a schedule so that it doesn’t leach out of a crop’s root zone and contaminate ground water. When the common view is “Nobody’s gonna skip a $40 fertilizer application and possibly blow a $2,500 crop,” the task seems nearly impossible. Further, based upon Mr. Henke’s historical analysis of the role of agricultural scientists in the Salinas Valley, it seems doubtful that the overuse of chemical fertilizers and pesticides can be stopped.